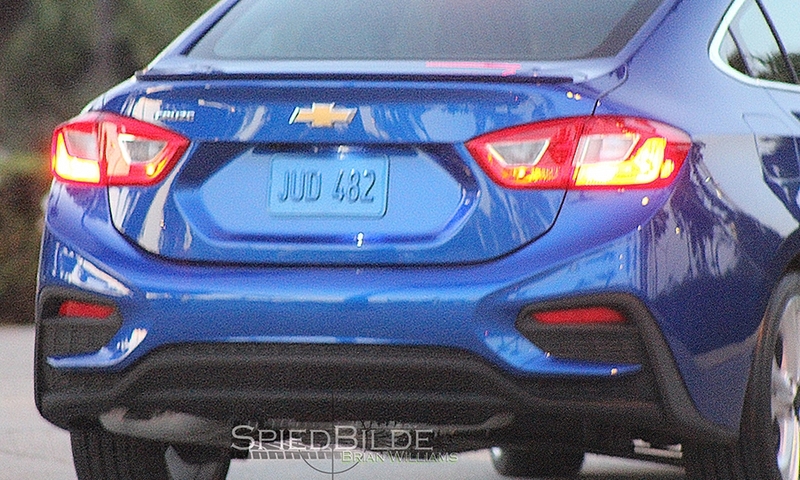 DETROIT -- The next-generation Chevrolet Cruze will get a more sculpted, sweptback appearance, based on recent spy shots that captured the compact sedan without camouflage. 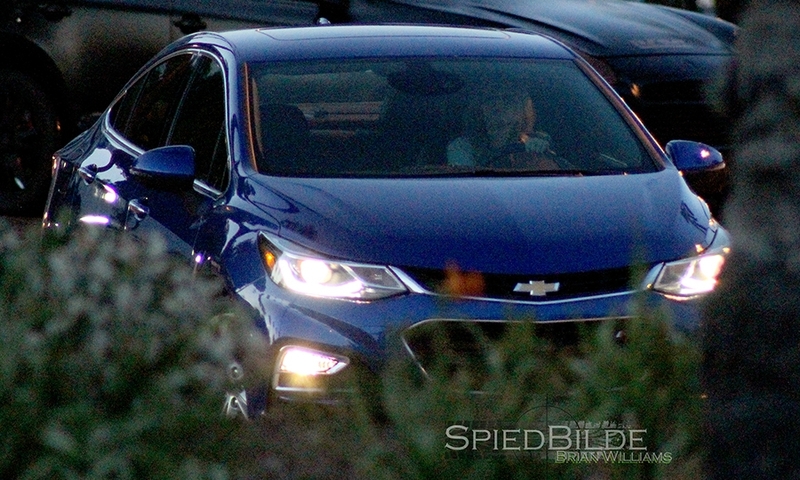 The redesigned Cruze features a more steeply angled windshield, narrower window outline and shorter rear deck lid, which gives General Motors' top-selling U.S. car a sleeker silhouette, based on candid photos purportedly taken during a photo shoot in California. The sedan's styling brings a uniform look to Chevy's car lineup, with several design cues also found on the Impala and the redesigned 2016 Malibu, which goes on sale late this year. Each sedan sports a more contemporary version of Chevy's traditional dual-port grille. The new Chevy face features a wider, deeper grille that stretches to the headlamps, which are thinner and flare back into the front fenders. 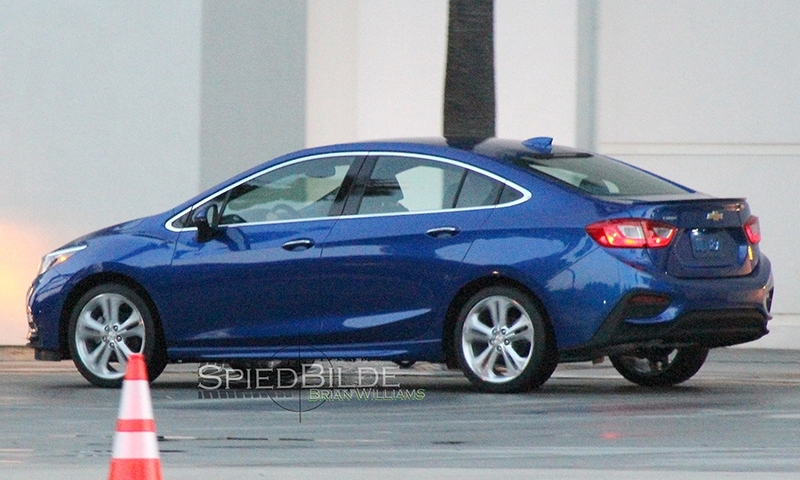 The Cruze's shortened rear deck also echoes the Malibu and Impala. So do its tail lamps, which keep the dual-element design but sport a more chiseled look. A Chevy spokesman declined to comment on the photographs. “Like the recently unveiled Malibu and Volt, you can expect a dramatic design with loads of technology,” the spokesman said. 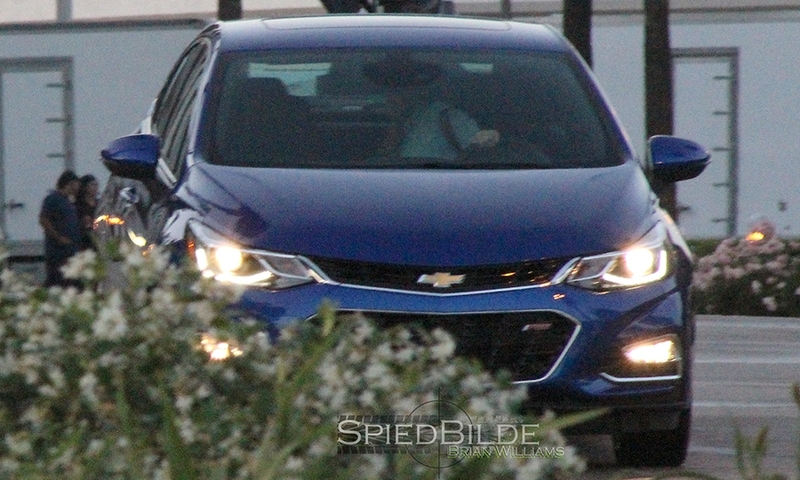 GM is expected to unveil the Cruze in coming months, possibly at an event here in late June for international media. 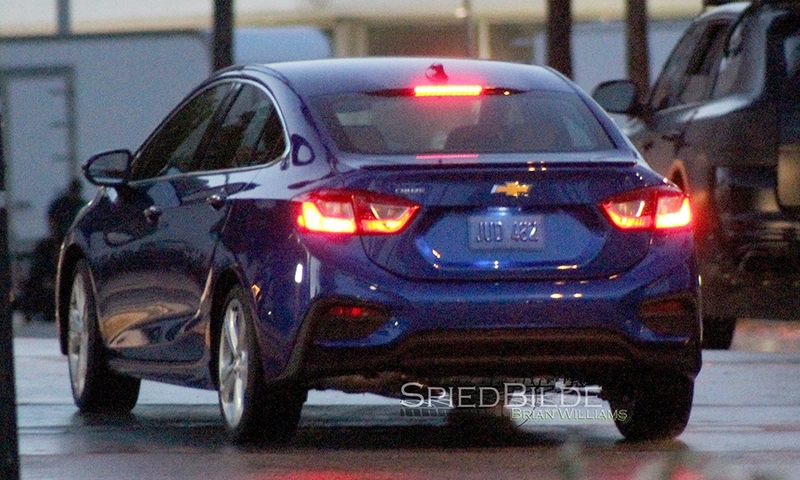 The current Cruze has been on sale in the U.S. since fall 2010, when it replaced the Cobalt nameplate as Chevy's compact entry. The car vaulted Chevy from also-ran status in the segment to No. 3 last year, with sales of 273,060, behind the Toyota Corolla and Honda Civic. 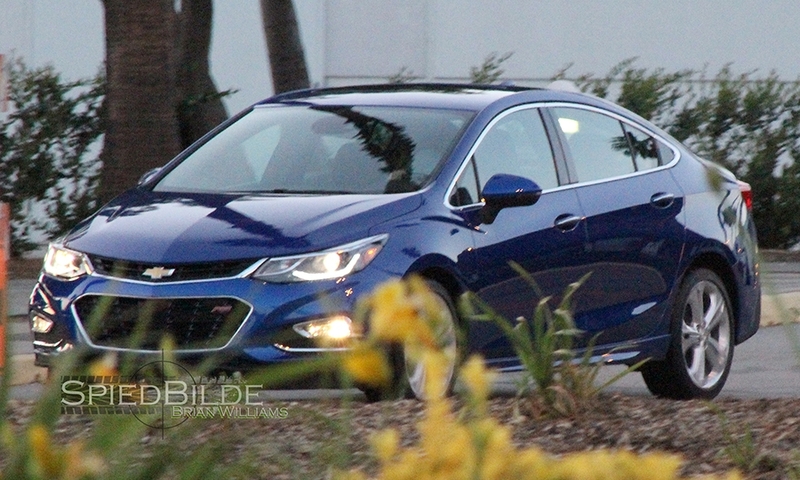 Through April, U.S. sales of the Cruze were down 6.2 percent, to 81,539.